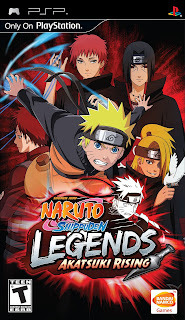 Naruto Shippūden: Legends: Akatsuki Rising is an adventure game for the PSP created by Namco Bandai Games America. 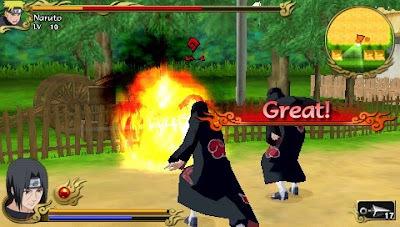 The game is the “sequel” to Naruto: Uzumaki Chronicles 2. The game features 17 playable characters. 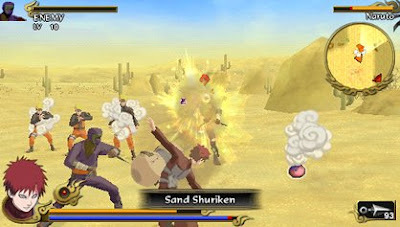 Although the story mode game of the game only goes up until the Kazekage Rescue Mission, it also features playable characters from the Tenchi Bridge Reconnaissance Mission. but it is only pentium 3 supported, and doesn’t operate with 64 bit function.